Metrics ICS is designed to control specialized semiconductor test and measurement instrumentation. The software provides easy setup for complex instrumentation through an interactive Microsoft Windows graphical user interface and requires no programming by the end user. • Added auto-column width for Data View spreadsheet windows. 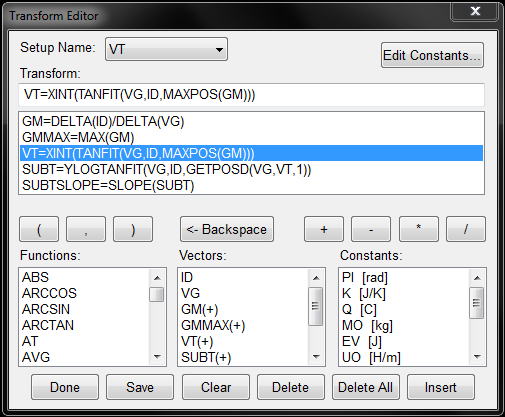 • Updated File menu “Save As”, “Save to ICV Algorithm” dialogs boxes to display the “Save” button instead of “Open”. • Added License # field to Help menu “About” dialog box to display current license number being read from the USB security key to aid in technical support and troubleshooting. • Increased width of GPIB “Communications Log” window and increased length of log file to aid in technical support and troubleshooting communication problems. • Added B1514A MCSMU (Medium Current Source Measure Unit) module support for Keysight B1500A Semiconductor Device Analyzer. 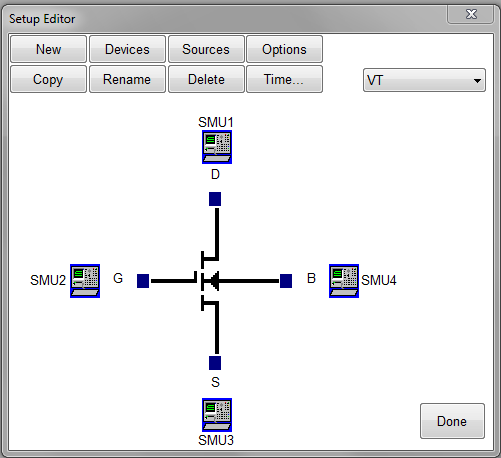 • Added polling support for B1525A HPPGU (High Power Pulse Generator Unit) and B1530A (WGFMU) to properly display slot numbers in B1500A mainframes with these units installed. 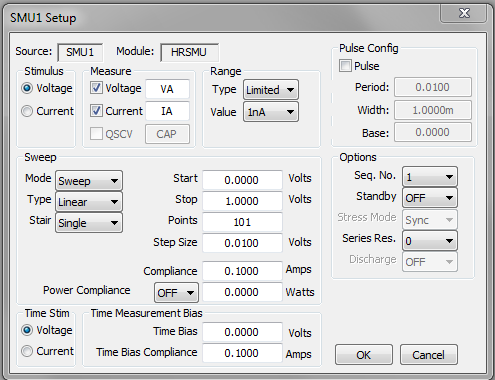 Note: There is no driver support in MTICS for these pulse generators, but will be added to MTICV Pulse Generator Library in the future. • Enhanced B1520A MFCMU module to fully support SCCU module allowing for simple switching between IV and CV measurements. 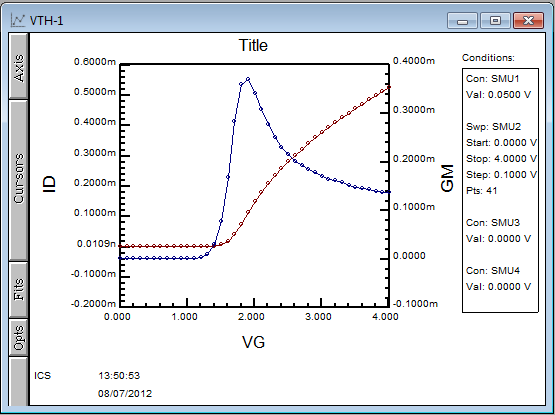 • Enhanced Step Generator point and step calculation in TEK 370 / TEK 371 driver to set max allowed voltage. • Enhanced KI4200 driver by adding “limited auto-range” and “fixed ranging” modes. • Added additional 5 and 6 terminal BJT and MOS devices to ICS setups. • Added support for long paths and filenames in all areas of the UI. • Changed selection of log file in Output Data Control to browse using Windows FileManager. • Changed selection of File->Import and Export file to browse using Windows FileManager. • Expanded edit control for “Prompt for User ID” in Output Data. • Control and allow for upper/lower case characters. • Increased number of data vectors in data view to 100 vectors and 10001 points. 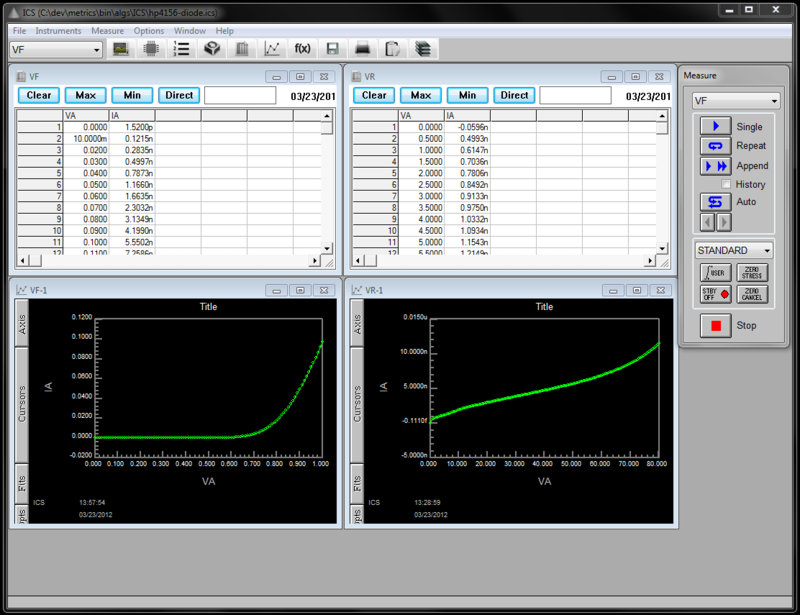 • Data view now only displays actual filled data vectors to support efficient scrolling of long data arrays. • Enhanced “Sync to Excel” added to Options->Workspace settings to allow auto synchronization of data view to MS Excel worksheet. • Multiple data views are synced to tabs in Excel workbook. • Agilent B1500A Semiconductor Device Analyzer MFCMU support in ICS driver. • Agilent B1505A Power Semiconductor Curve Tracer (HCSMU, HVSMU, DHCSMU, MFCMU support. • Keithley 2657A HV Source Measure Unit (multi-instrument support utilizing GPIB or LXI interface). NOTE: Metrics Technology, Inc. does not provide GPIB hardware or software so please visit the appropriate vendor site for purchase or software driver updates. Designed by nSpace Labs | Copyright © 2014-2016 Metrics Technology, Inc.